Researchers have described using a highly efficient reverse genetics system to develop defective African horse sickness viruses with the potential to be used to make safe and stable vaccines against the devastating infection. 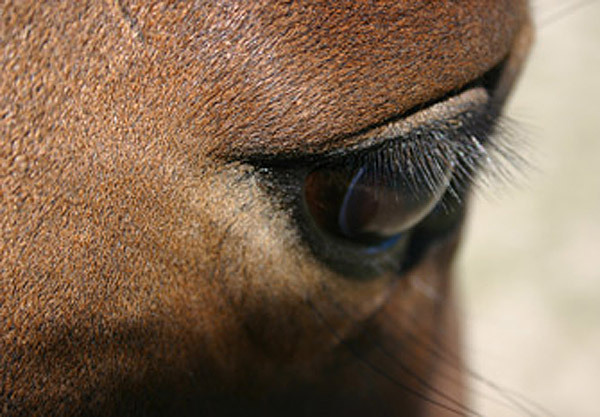 African horse sickness is spread by biting midges, with mortality reaching up to 95% in naive horses. The development of efficient vaccines is considered important due to major economic losses caused by the disease. The pathogen responsible for the disease is an orbivirus in the Reoviridae family with nine different serotypes. The virus is composed of seven proteins organized in three concentric layers with a genome of 10 double-stranded RNA segments. The study team from Britain and Germany sought to develop effective candidate vaccines against all serotypes. They established a reverse genetics system for the task, focusing their attention initially on serotype 1. They went on to generate defective virus particles for all nine serotypes which were, they said, totally incompetent in mammalian and insect cells. They were unable to replicate. Professor Polly Roy and her colleagues, writing in the Journal of Virology, said the particles proved to be highly protective against virulent virus challenges in testing in mice. “These defective viruses have the potential to be used for the development of safe and stable vaccine candidates,” they reported. The reverse genetics system provided a powerful tool for studying the role of individual African horse sickness virus proteins in virus assembly, structure, and disease-causing ability, they said. The authors noted that while live-attenuated polyvalent vaccines protecting against almost all serotypes were commercially available, the vaccine strains had a high risk of reassortment with field isolates, which could potentially result in the introduction of new virus serotypes into countries where the virus was not endemic. Various attempts had been made during the last 20 years to develop safe and effective vaccines, but to date none had been developed into a commercial product. They said that, unlike the live-attenuated vaccine strains, the vaccine candidate virus particles they created carried minimal risk of recombination with circulating field strains. Roy was joined in the study by Valeria Lulla and Aleksei Lulla, from the Department of Pathogen Molecular Biology at the London School of Hygiene and Tropical Medicine; and Kerstin Wernike, Andrea Aebischer and Martin Beer, from the Institute of Diagnostic Virology within the Friedrich-Loeffler Institute in Greifswald, Germany. Lulla V, Lulla A, Wernike K, Aebischer A, Beer M, Roy P. 2016. Assembly of replication-incompetent African horse sickness virus particles: rational design of vaccines for all serotypes. J Virol 90:7405–7414. doi:10.1128/JVI.00548-16.